Everything you need to know when implementing and running an employee advocacy program. Employee advocacy, also known as employment advocacy, is defined as an organization promoting itself and its brand through its employees. In the last decade, the most common medium for employee advocacy is social media. With over two-thirds (67%) of Americans turning to social media as their primary source for news and events, it just makes sense to promote the brand where your customers are consuming content. Employee advocacy can be everything from sending internal company e-newsletters, with social share links, to a full formalized program with goals, metrics, and specified software. As with most marketing campaigns, the more effort, and strategy that goes into a program the better the results. As mentioned above, these programs work best when there is a formalized plan. These programs are important for many marketing departments because of all the potential gains both externally and internally. Executives recognize both the internal and external visibility gains and brand benefits of employee advocacy; however, just 1 in 10 reported implementing a structured, comprehensive program as part of their digital strategy. Those organizations that can create, implement and manage a formalized program will gain a competitive advantage. Whether or not your company is active on social, your brand is; competitors, customers, and employees are talking about you. Managing your reputation online is crucial as, according to Glassdoor, 79% of job applicants use social media in their job search. This increases to 86% for applicants who are in the first 10 years of their career. In addition to managing online reputation, there are numerous other benefits that help to generate positive ROI for organizations. The authentic and trustworthy voices of your employees build brand credibility and improve brand image. Allowing employees to share and comment on brand messages and updates creates a culture of transparency that resonates with customers. It’s also important to note, employees who are aligned with company brand values are more likely to remain loyal to the organization. Only 55% of consumers consider corporate marketing materials to be a credible source of information. And according to the Edelman Trust Barometer, brand promotion done through an employee is twice as likely to be trusted than from the CEO. The genuine voices of employees instantly add trust and credibility as they are seen to be more unbiased. Leveraging employees to drive impressions and boost reach can give organizations a competitive edge. The collective number of social media followers of all your employees will most often dwarf that of your branded channels. In addition to a wider audience, content shared by employees will also generate more engagements from their connections, further enhancing your company’s visibility. Culture is one of the most important and misunderstood pillars of any organization. It acts as the glue that keeps the organization together and it’s what keeps employees loyal to the brand. Employee advocacy helps promote culture by giving employees more insight into company goings-on. The average employee will spend almost two hours a day on social media. Even leveraging a fraction of that time by having employees share content will help to build the brand. Piggybacking off the success of your best and brightest will facilitate brand growth. When top talent shares branded content they instantly boost brand credibility. Employee advocacy can also help to create future thought leaders as continuously sharing high quality, curated industry content will showcase them as in-the-know experts and help to grow their network. Sales teams need access to company content to create brand awareness and drive sales. It’s also crucial for them to be active on social, as this is likely the first interaction your customers will have with your brand. Equipping them with new and industry-relevant content is an easy way to ensure that their social presence is kept up-to-date and positions them as an authority within your industry. Most organizations today have made investments to increase their social presence and as a result, employee advocacy has become a key marketing strategy for leading enterprises. One struggle these organizations face is continuously cutting through all the noise on social media. This is where employee advocacy steps in. By leveraging the voice of your employees, companies can increase the social media reach of their branded content. As a result, employee engagement and advocacy are essential components of an effective social media strategy. We’ve compiled 45 statistics on employee advocacy, social media strategy, and social selling. When woven together, these stats build a compelling case for why organizations need to implement this program. Interest in employee advocacy has grown by 191% since 2013, with 45% of respondents naming it a top external objective. Company branded messages reach 561% further when shared by employees versus branded channels. 70% of adults online reported trusting recommendations from friends and family, but only 15% trusted companies’ social media posts. 33% of employees agreed that relevant content would encourage them to share. Organizations with high employee engagement outperform those with unengaged employees by 202%. 50% post social media messages, pictures and videos about their employer. 39% have shared positive online comments about their organization. 33% post social media messages about their workplace without any employer encouragement. Disengaged employees cost an organization a lot. On average, each disengaged employee equals roughly $10,000 in profit annually. Almost 86% of employees who participate in an employee advocacy program cite the increased social presence as having a positive impact on their career. 27% of high growth firms, those with revenue growth over 20%, reported employee advocacy programs as helping to shorten their sales cycle. Those who used sales enablement content have on average 69% more revenue growth YOY than those who did not use sales enabled content. Measurable benefits include increased web traffic (44.9%), better search engine ranking (32.4%), and increased content downloads (24.6%). Messages shared by employees reached 561% further than the same message shared on a company’s branded channel. Brand messages are re-shared 24x more when distributed by an employee. 83% of global respondents say they either completely or somewhat trust the recommendations of friends and family. 79% of job applicants use social media in their job search (Glassdoor). This increases to 86% for applicants who are in the first 10 years of their career. Nearly 2/3 of respondents say their employer doesn’t use social media for talent acquisition effectively. 69% of applicants will not take a job, even if they are currently unemployed if the company has a bad reputation. Increasing employee engagement investments by 10% can increase profits by $2,400/employee, per year. 78% of job seekers say employee ratings and reviews are influential in their job hunt/ decision-making process. 15% more likely to connect with co-workers beyond their core teams. Empowering your employees through employee advocacy is one of the best ways to achieve alignment within your organization. It can mobilize your sales team, increase brand recognition and streamline communications. Updating and recirculating a social media policy will help to mitigate risk by providing employees and executives with more guidance and best practices when sharing on social. 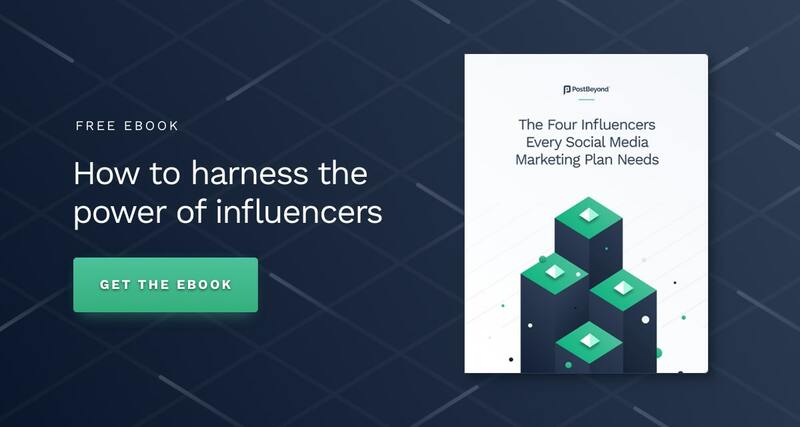 Download this guide to help design, plan, and implement an employee social media advocacy strategy for your enterprise. Social media skills will vary throughout your organization. Different age groups and departments will have different needs. It is critical to map out a strategy for training employees on how to use all the different platforms as well as how to write social posts for business. Download our handy one-page Social Media Cheat Sheet to help guide employees on which content works best for each social medium. Studies show, on average 30% of your employees currently act as brand advocates. Meaning they are already promoting on behalf of the brand. Leverage these enthusiastic individuals to create an employee advocacy pilot program. Since these individuals are bought-into the organization they can work with you to help to further refine social media policies and training programs. As enthusiastic participants, they will not be put off by any program hiccups — this helps to ensure a smoother, more successful, full-scale rollout. In order to secure buy-in, executives will need to see a fully thought out plan with goals, metrics and a strategy to achieve them. In addition to a formalized plan, it is important to communicate why leadership buy-in is so crucial for long-term program success. PostBeyond has helped launch hundreds of successful employee advocacy programs and the ones that do the best are those that are fully supported by executive leadership (most notably CEOs and presidents). Why is this? Leaders help elevate the brand and give validity to the program. Back in 2015, CEO.com reported that 61% of FORTUNE 500 CEOs had no social media. In just three years that has rapidly changed. In fact, 9 in 10 CEOs of FORTUNE’s most admired companies are socially engaged. Sharing company messages through their channels can quickly increase impressions as well as promote brand authenticity as many actually have more Twitter followers than the company’s branded accounts. In addition to a larger reach, executive buy-in increases employee adoption rates. When CEOs and presidents enthusiastically participate in an employee advocacy program the adoption rates increase dramatically. The more employees who participate, the more the program grows. As the program grows, it continues to generate more engagement and positive results throughout the organization, which adds validity to the program. A question that comes up a lot is, ‘why would I share?’ or ‘what’s in it for me?’ We call this the WIIFM (What’s In It For Me factor. In addition to training employees so they feel comfortable sharing, it is also important to communicate why employee advocacy is beneficial for their professional brand image. In competitive industries (like finance, management consulting, travel, and technology) establishing a personal brand and being seen as a thought leader is no longer a nice to have. Employee advocacy programs make it easy for employees to showcase themselves as thought leaders as they have access to continuously updated relevant industry content (both branded and third party) that they can share out to their networks. Continuously sharing interesting social posts will build a social presence and lead to more engagement. Without much effort, employees can build and expand their personal professional networks. Employees who are invested want to know what is going on in their organization. Employee advocacy streamlines sharing company content and updates across large organizations, creating more transparency. Numerous studies show high-quality internal communications foster stronger employee-organization relationships. Watch Sarah Beatty, Customer Success Manager at PostBeyond, as she shares best practices on how to drive employee advocacy program adoption. 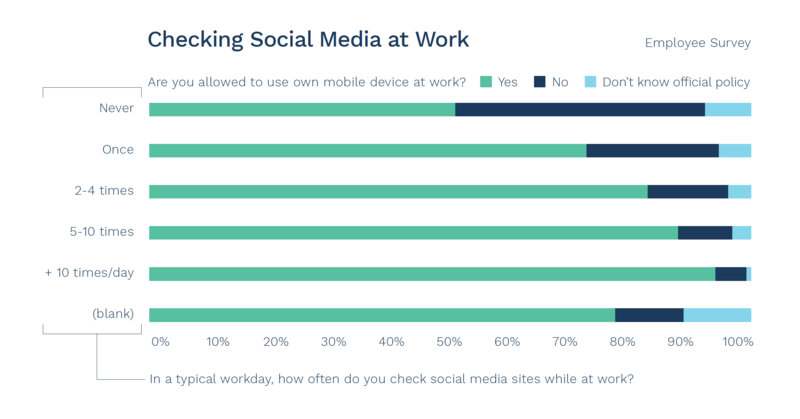 Employees are, on average, checking their social media profiles more than 10 times a day during working hours. Employee advocacy helps transition some of this time into more productive business activity. The right platform allows employees to easily share content with their social networks or consume workplace relevant content from desktop or mobile. With 69% of applicants unwilling to consider a job from a company with a bad online reputation, creating an engaged workforce and promoting a positive culture online is key to attracting and retaining top talent. Employee advocacy allows large enterprises to promote workplace culture, recognize top employees and increase transparency amongst teams, offices and even countries. In addition to implementing the strategies mentioned above, there are also best practices to ensure a successful program. On average, 30% of employees are already acting as social advocates and are highly engaged. However, within that 30%, it is essential to understand that there are content consumers, sharers, and creators. This is often called the 1-9-90 formula. “1” is the percentage of individuals who create social content. “9” is the percentage of individuals who share social content. “90” is the percentage of individuals who only view social content. Programs should be built with this formula in mind in order to create attainable goals and strategies. Leverage the 30% of highly engaged staff for your pilot. Work with them to create guidelines, training programs and assessments on additional programs needs for the company-wide implementation. It is important to showcase any initial wins to create program credibility and secure continual buy-in. Employee advocacy programs that achieve the most success are those with leadership buy-in. Creating the right environment is key to increasing and maintaining higher user adoption rates. Establishing policies and guidelines for employee advocacy is important, not just for risk mitigation, but also to enhance program buy-in. Guidelines commonly outline approaches to content creation, sourcing, and sharing. Posting work content on personal social media accounts can be intimidating for some employees so organizations will need to instill confidence. Instill confidence by training employees how to best use social media and how to post for business. For example, Nationwide used reverse mentoring to train senior executives on the benefits and use of social media. As with any other marketing program, employee advocacy requires measurement and objective evaluation. According to a management survey, most companies do not measure the effectiveness of programs as a Key Performance Indicator. Indeed, over a quarter of them (28%) are unaware of any measurement. In order to ensure success, employee advocacy metrics and attribution need to be set-up. Many programs fail because program adoption and metrics tracking are inefficient. Efficient corporate employee advocacy programs utilize MarTech to streamline processes. It creates one central repository for content, allowing employees to easily source and share content, and marketers to track metrics and program performance. Employee advocacy program adoption needs to be the main focus when implementing employee advocacy. Program materials outlining both the company and personal professional benefits needs to be a priority. Gamification is another strategy; making a program interactive, engaging and rewarding will certainly increase participation. 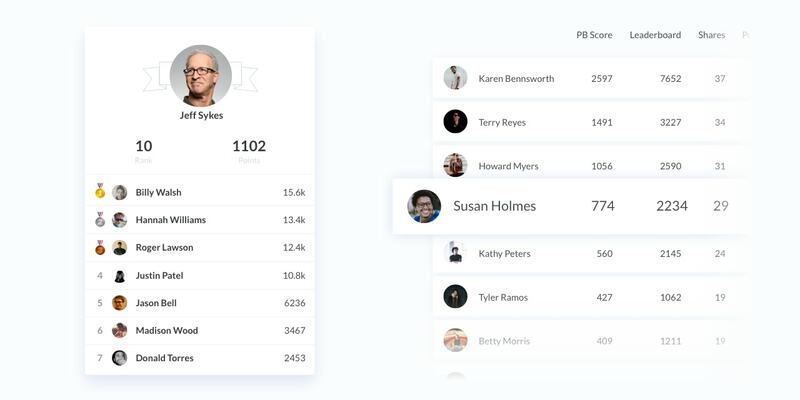 PostBeyond offers a leaderboard where employees can compete for the top score on the platform and prizes. This fosters healthy competition and continual program engagement. Read the PostBeyond step-by-step blog article to set up employee advocacy attribution metrics. Content marketing and employee advocacy need each other to succeed. Employee advocacy without content is a useless program. High-quality content without employee advocacy can be money pit instead of an inbound lead source. Right now, it is estimated between 60-90 percent of content created goes unused. This is a massive waste and can have a negative impact on a company’s bottom line. Often underperforming content is due to lack of visibility. Departments can be siloed and even split between continents making sharing difficult. If sharing is a difficult process, employees will be less likely to do it. Platforms alleviate both of those issues allowing content to be easily disseminated out (both to teams and to social networks) helping content generate ROI. See how PostBeyond leveraged its own platform to closed a $20,000+ opportunity from one social share! How one global consulting firm became an industry leader in share of voice, social media engagement, and brand sentiment. How The Travel Corporation amplifies all of their different global brands. BCD Travel generated more than 17,000 shares of content, resulting in 100,000+ interactions (clicks, likes, comments, re-shares) and $243,000 of Earned Media. How Turbonomic increased social media engagement by 5x. Within one quarter after launching the program, a global logistics leader increased their total social reach by 9,958%.